Such Good Work, Johannes Lichtman’s wise and funny debut novel, is narrated by a heavy-drug-using creative writing teacher, Jonas Anderson. When 28-year-old Jonas is fired from yet another teaching position, he looks for a fresh start to help him break his drug use. Jonas decides to flee the US and seek refuge in Sweden, where he holds dual citizenship as it is the country of his mother’s birth. While his drug use has much to do with his job loss, Jonas is not planning to check himself into rehab. Instead, his plan to is to check himself into graduate school in Lund, Sweden, where being funded as a full-time student will be easy. At the same time, he hopes that he will be able to shed his drug addiction in Lund where procuring drugs will be more difficult. Once settled in Lund, Sweden, Jonas meets Anja, a German student, and we see sparks of his creative side emerge as their relationship grows. But drinking and parties quickly replace the void left by his missing drugs and the relationship stalls. 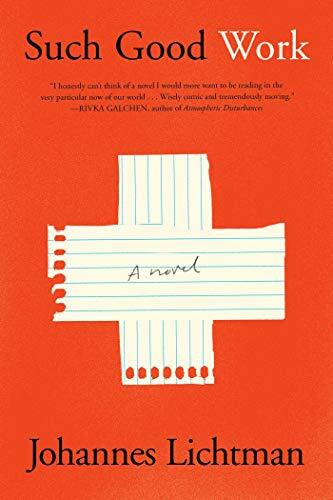 Lichtman shifts the narrative to Jonas spending his energy thinking about doing or not doing drugs, and Jonas remains unproductive as a writer and uncommitted as a human. Lichtman explores whether it’s possible for someone who has abused alcohol and drugs to change. Lichtman gives Anja, who is younger than Jonas, more wisdom than Jonas. He points to her European sensibility and upbringing for her maturity. Jonas imagines Anja telling her German friends that “Americans are so different. They don’t know how to live.” While this may or may not be true for all of us raised in the US, it’s vividly true of Jonas. Following Anja’s departure, Jonas moves to the nearby port city of Malmo, a more diverse and less university centered city. His arrival coincides with the global refugee crisis of 2015. As Sweden unequivocally welcomes the surge of refugees, Jonas volunteers to teach Swedish to the new immigrants. It is, of course, a global crisis and Lichtman includes the full array of responses, including Jonas having to explain the growing fear and hate of refugees back in his native US. It is finally as a volunteer with these young refugees that Jonas begins to feel a sense of the other and a sense of purpose. He finally finds the worth in work. And in some ways, this presents a problem for Lichtman as addicts tend to be more interesting subjects than do-gooders. Lichtman handles this transition with dexterity and humor as he explores what it means to do the good work of being human. Eventually, the swell of refugees causes a strain on Sweden’s resources, and the government closes its borders. By then, Jonas has become open to being connected to others around him. He has finally found some of the normalcy, stability, and routine that he sought. He is writing again, and he is drug and alcohol free. It is a start. Elan Barnehama's debut novel, Finding Bluefield, a road trip through the 1960s, explores what happens when society’s invisible become visible. His short fiction has appeared in numerous journals, and his book reviews and essays have appeared in Huffington Post and elsewhere.